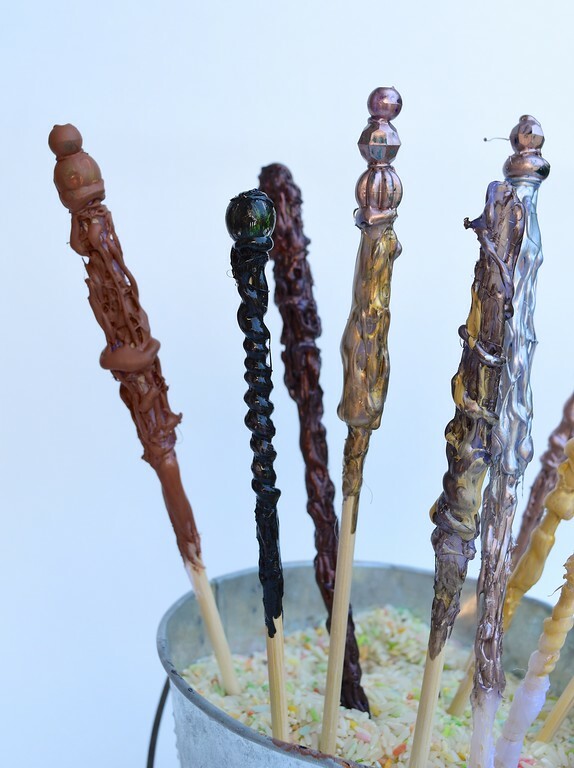 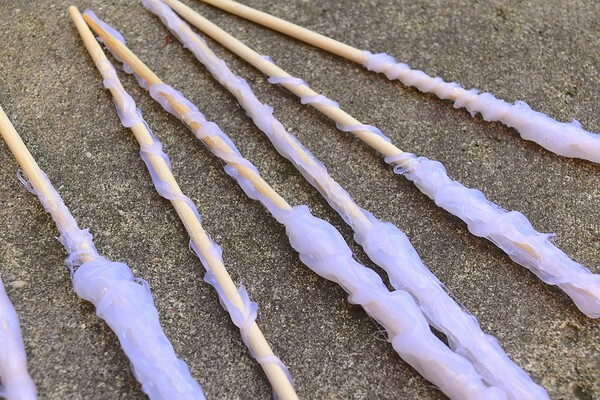 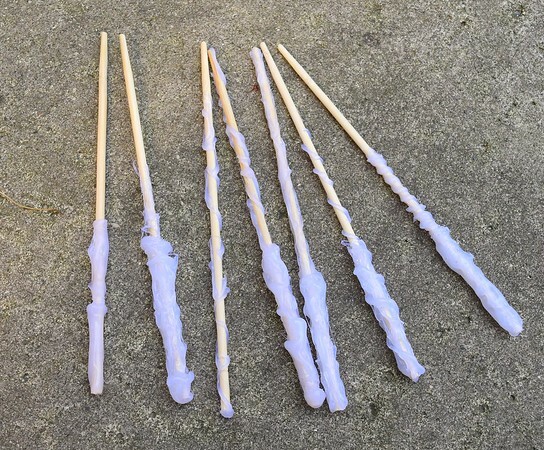 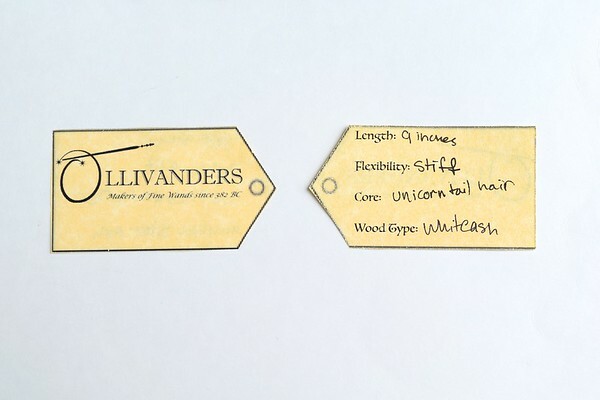 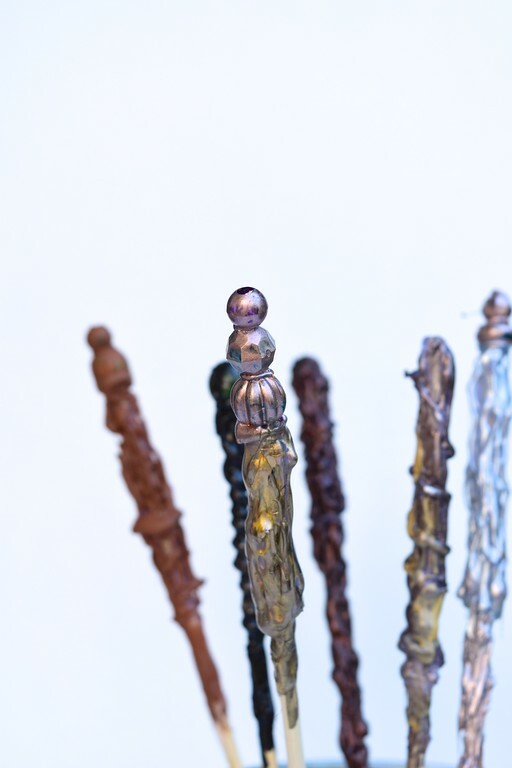 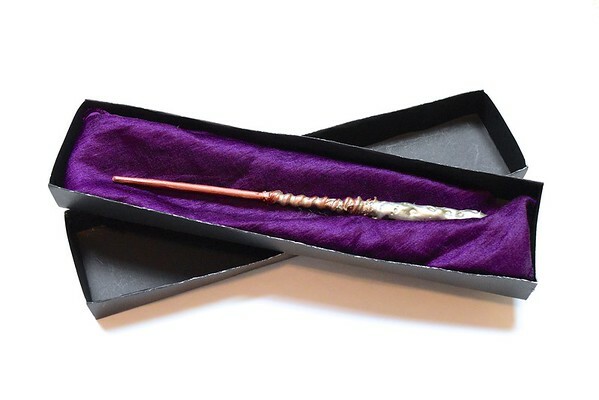 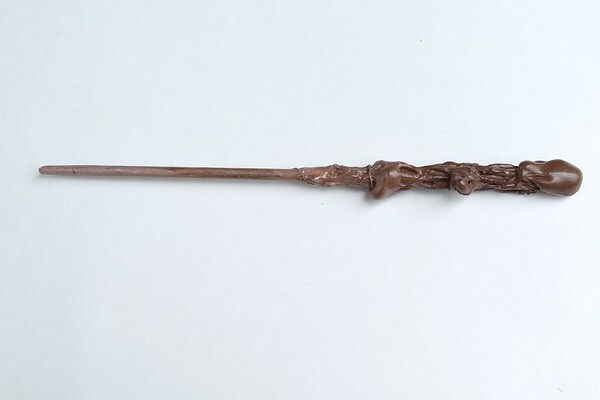 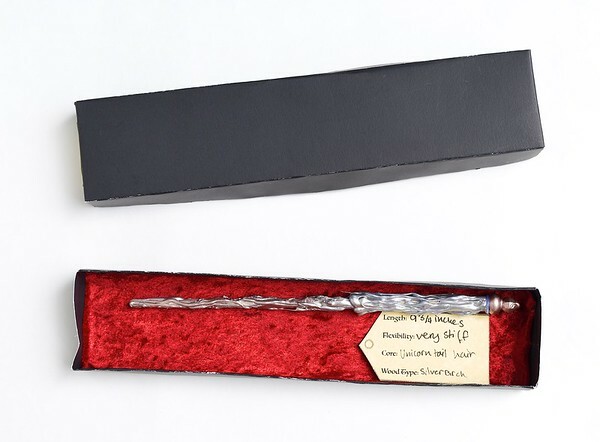 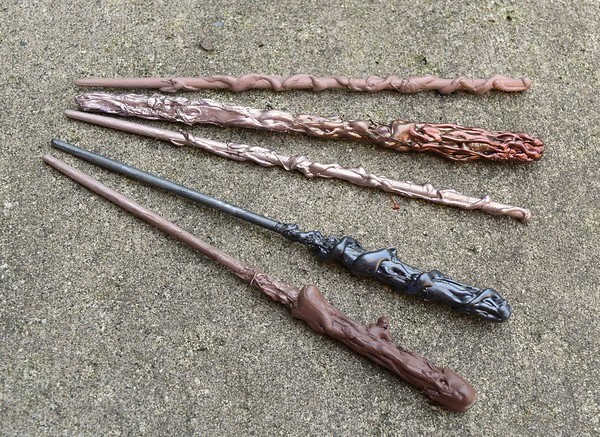 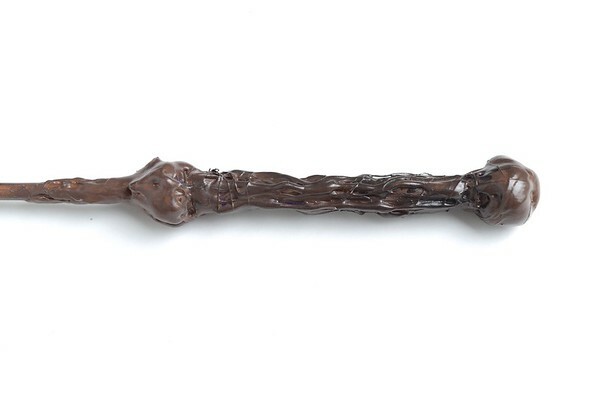 Of all the DIY takeaways at Emily's Harry Potter party (and possibly any Harry Potter party), wands are probably among the most awe-inspiring while at the same time being the easiest to make. 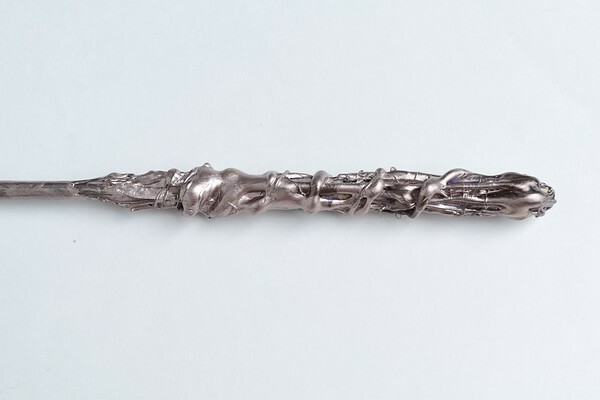 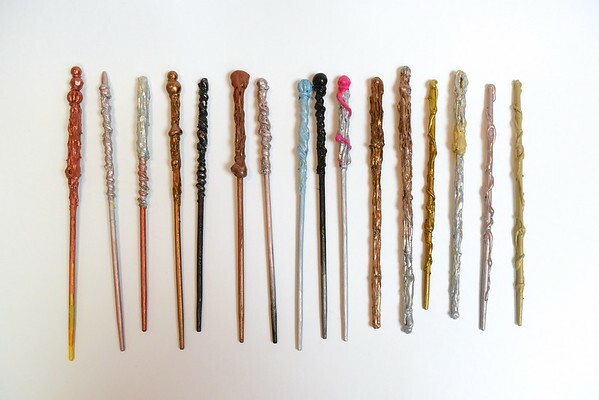 Emily first learned to make the basic wands from Youtube videos (just google them and you'll find plenty), and then experimented with her own techniques and add-ons to create ornate 'pommels' and other interesting effects. 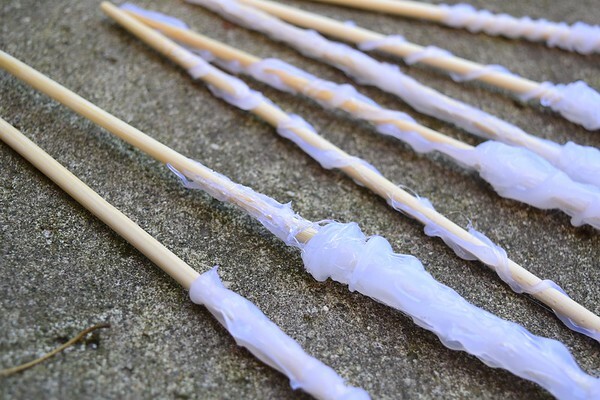 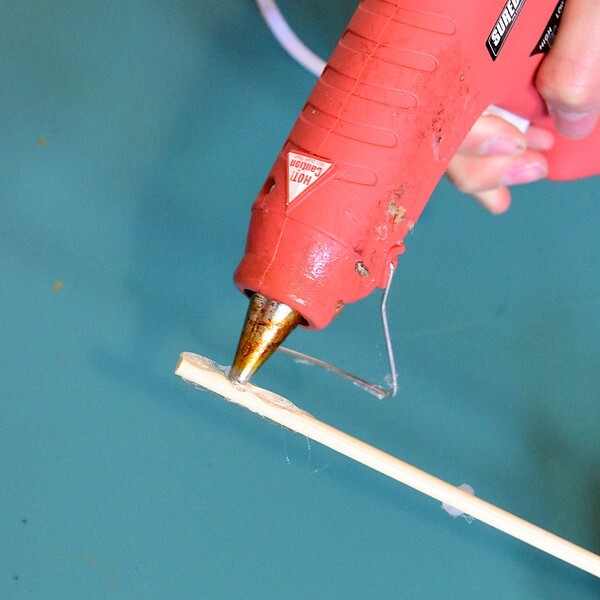 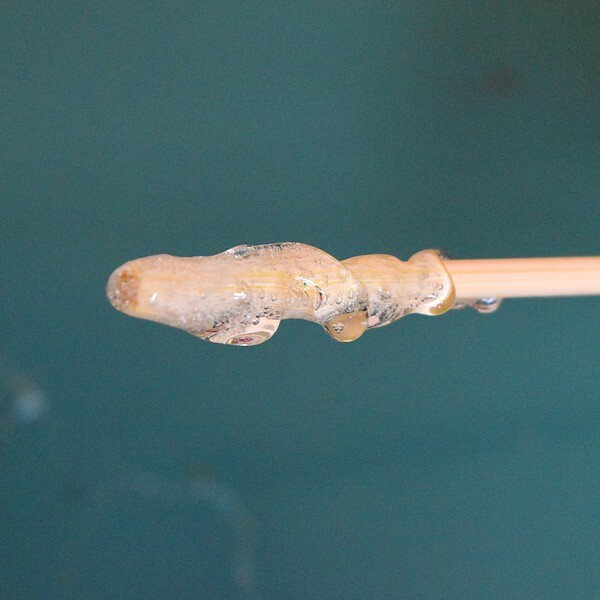 Here are some photos of the basic technique: hot glue on a chopstick, layered in random formations. 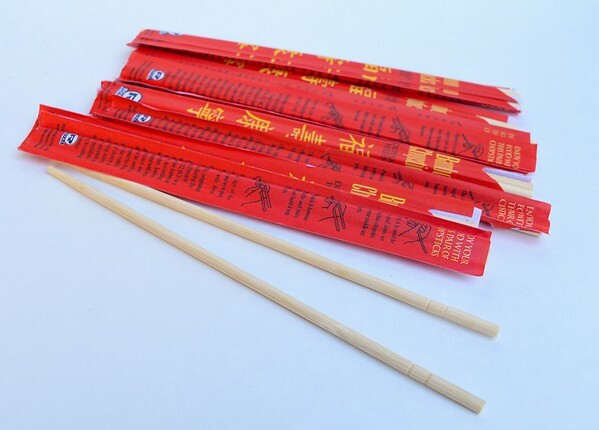 Here are a few of Emily's own designs, made by slowly rotating the chopstick as you apply the glue. 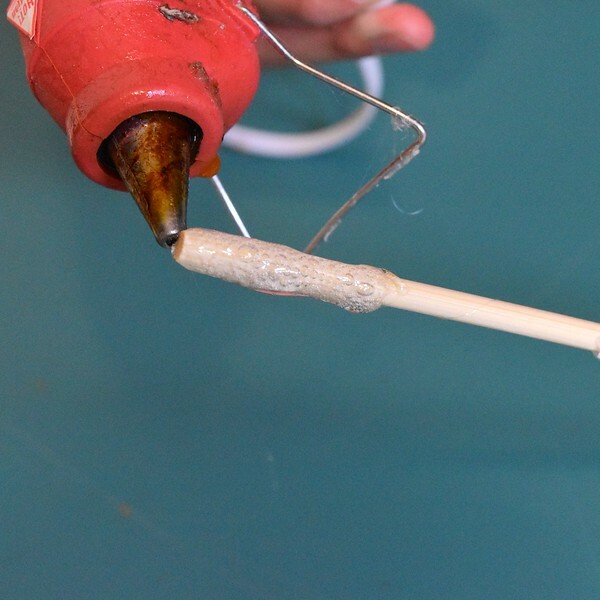 To make the tight spiral in the rightmost wand, Emily applied a big blob of hot glue and then inserted the end of a toothpick at an angle into the glue while rotating the chopstick. 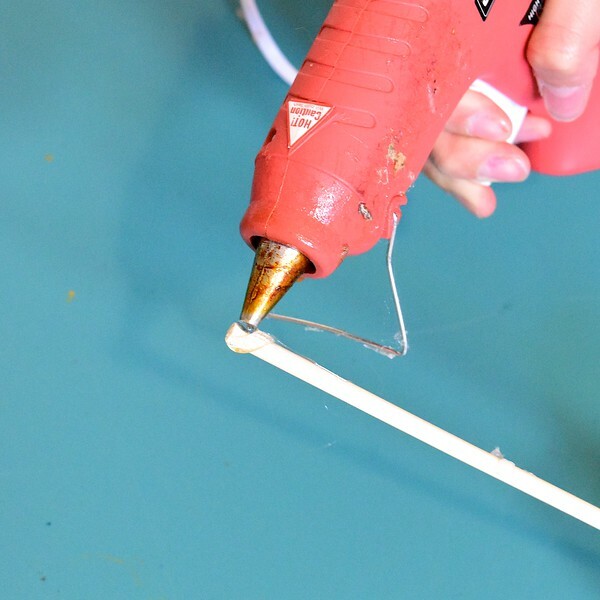 Smearing the glue when partially-set or dragging toothpicks in different directions through it creates other effects. 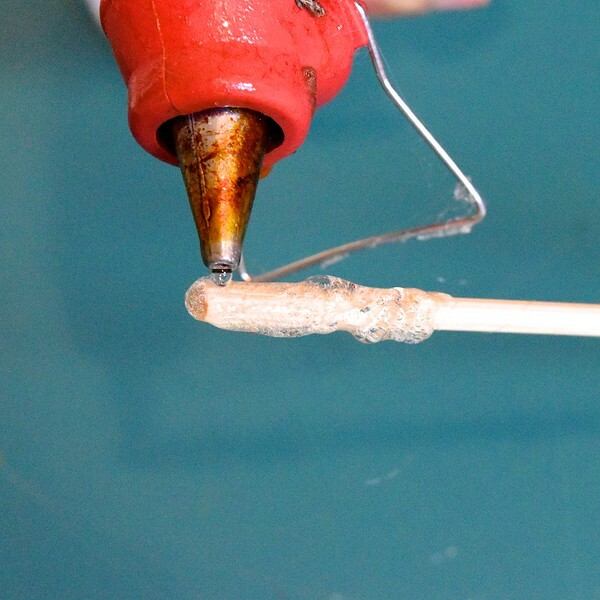 For added texture, she also embedded beads in the glue. 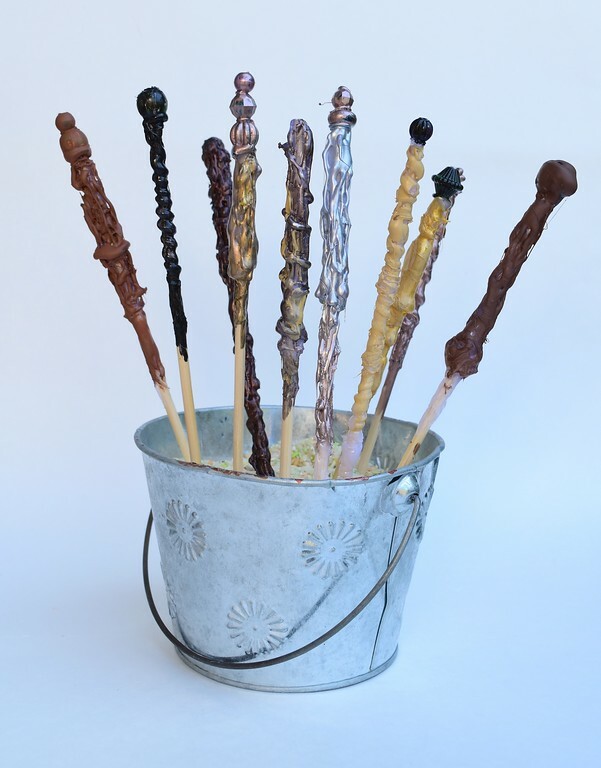 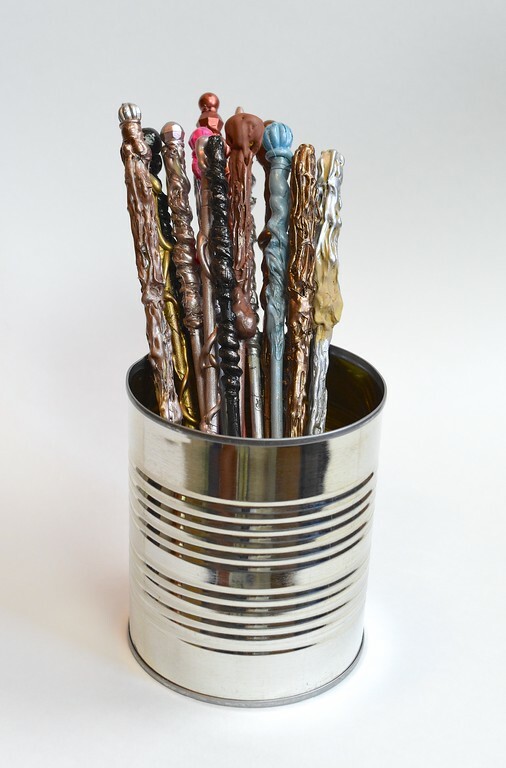 Then she applied coats of acrylic paint, and stuck the wands in a bucket of rice to dry. 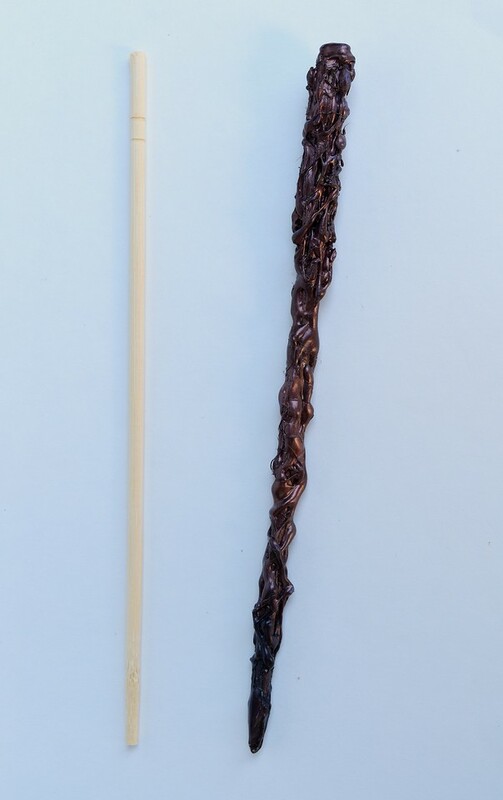 Here is a photo of a chopstick next to a finished wand - pretty amazing transformation for something so easy (and inexpensive) to make. 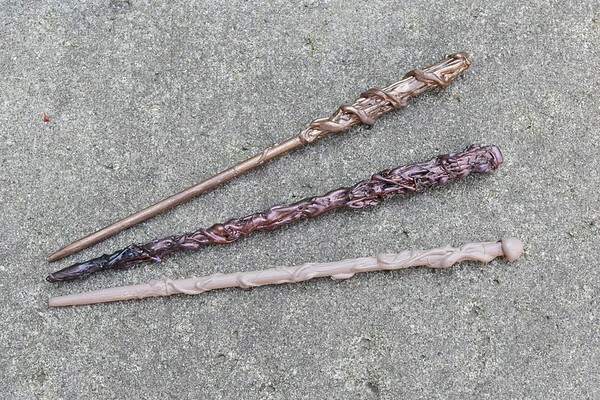 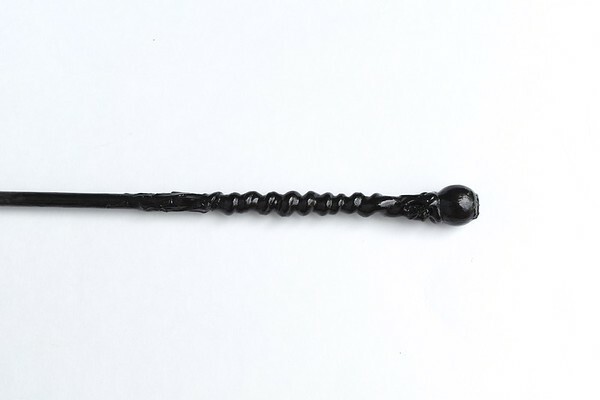 Beauty aside, wands are dangerous, magicky things which, if improperly stored, reportedly cause nasty accidents, so we made two kinds of protective casings for our wands. 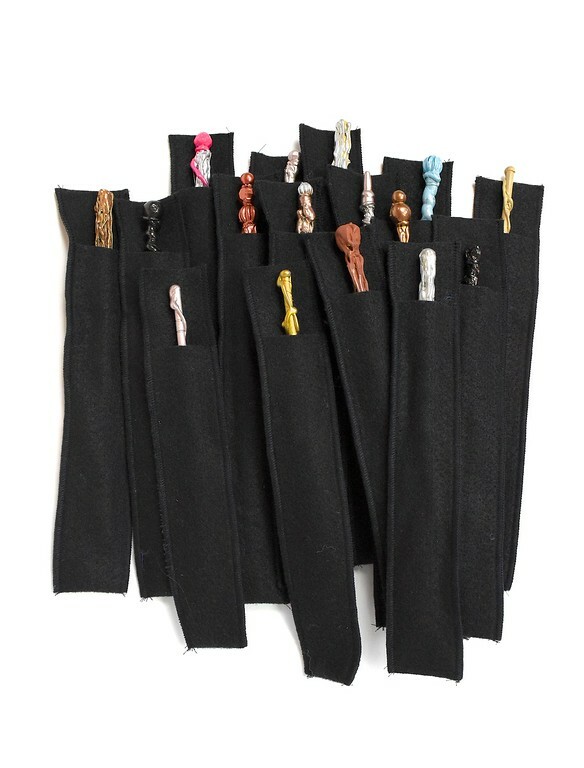 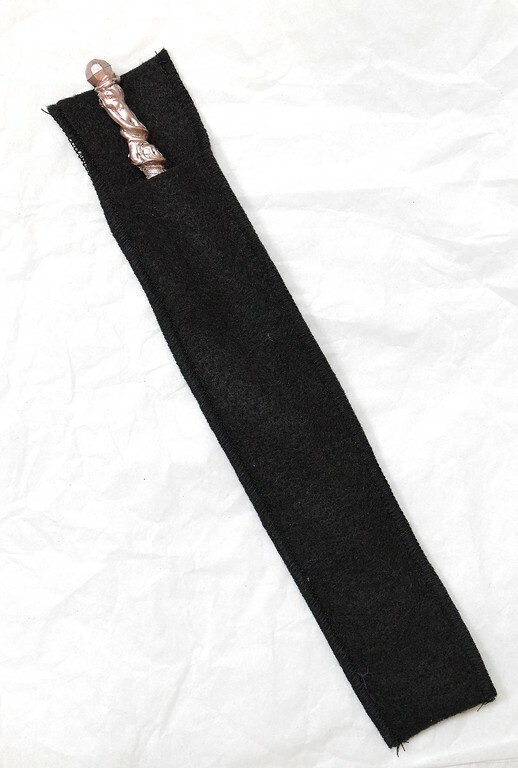 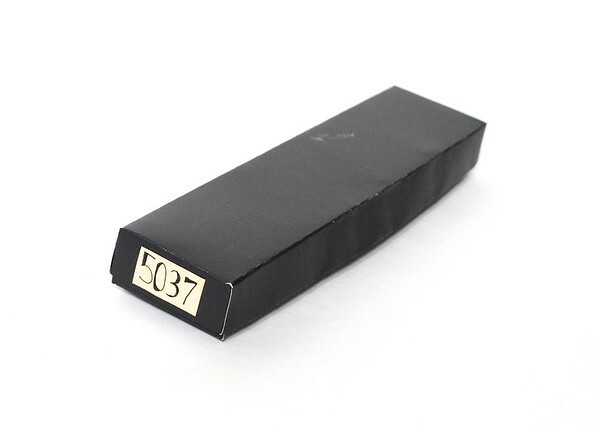 The first kind was wand sheaths, or pockets. 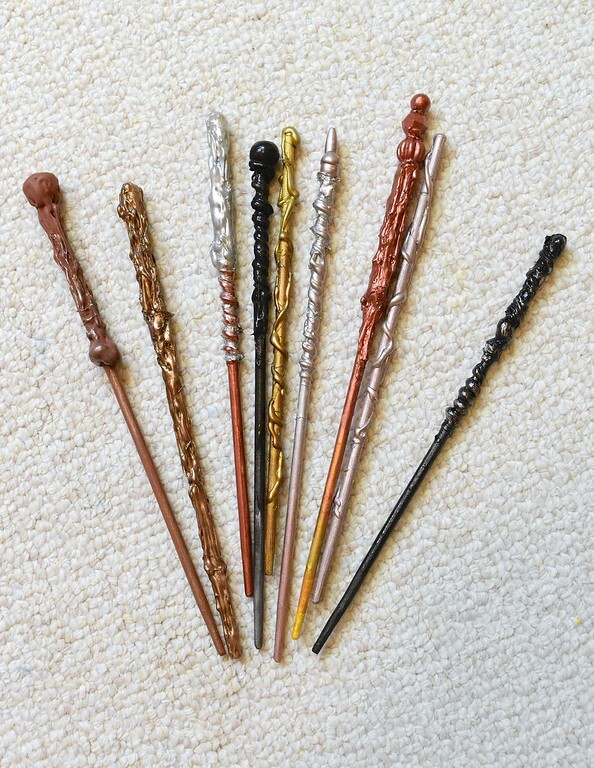 Emily sewed these for the summer craft fair at which she sold her earlier batch of wands. 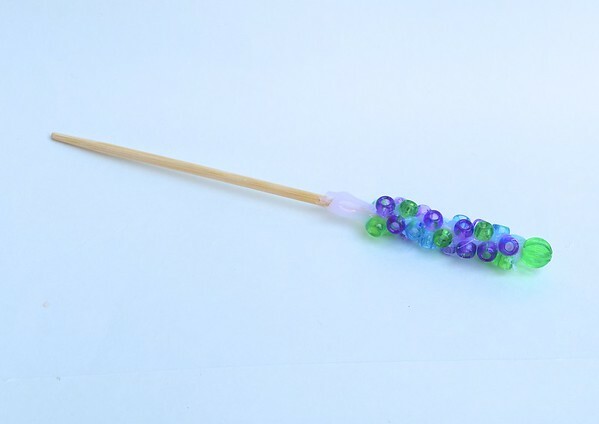 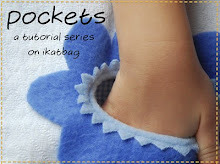 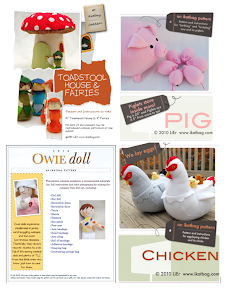 The instructions for making these are in that craft fair post (link above). 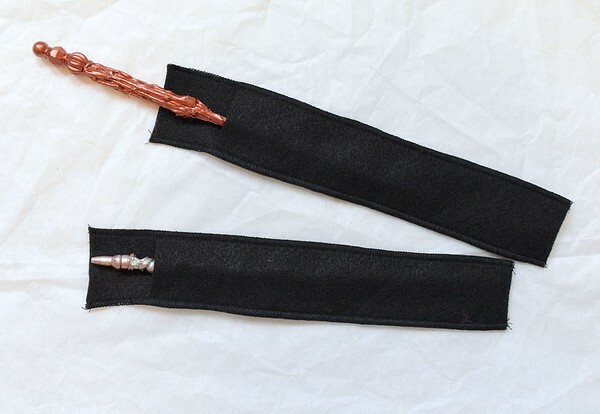 lined with a bed of some luxurious-looking fabric. 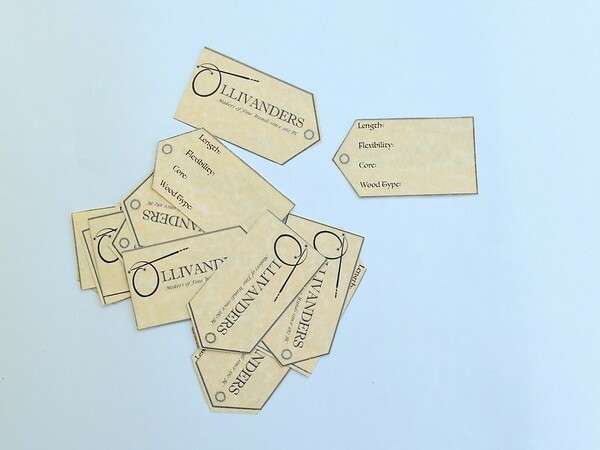 and stocked Ollivander's shop in Diagon Alley in time for the party! 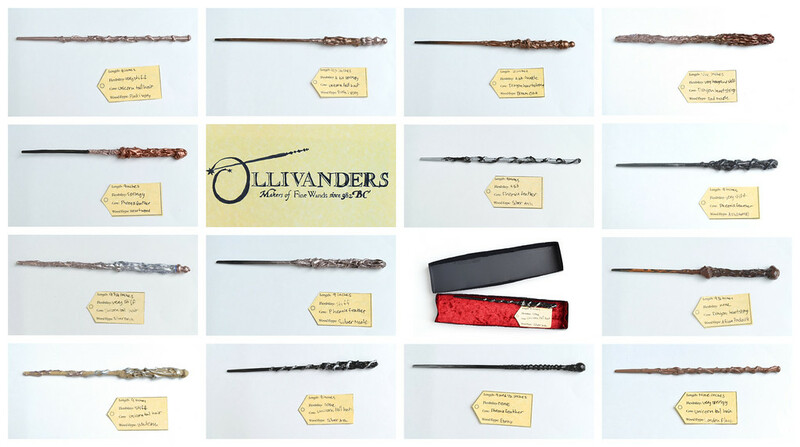 The wand boxes are up next!